SOLWATT project has been selected as the winner in the national phase of the Quality Innovation Award in the Potential Innovations category. The jury highlighted that the project meets the five characteristics that were valued: novelty, usefulness, learning, customer orientation and effectiveness. 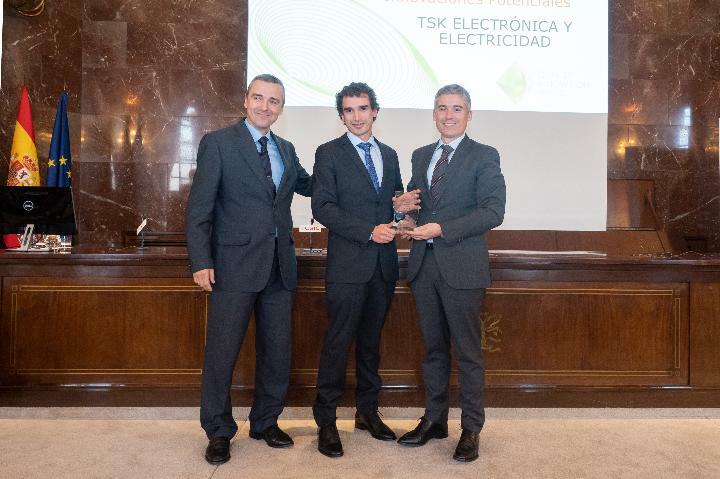 The award was delivered on Tuesday, November 27, at a ceremony held in the auditorium of CSIC, in Madrid, with the presence of several authorities. The National Association of Centers of Excellence-CEX has recognized eight Spanish organizations in the national phase of the Quality Innovation Award, QIA, a competition created in 2007 by Excellence Finland to promote innovative projects in companies and organizations, share experiences and give local and international recognition to the best ones, with the ultimate goal of increasing the competitiveness of companies and the participating countries. The other organizations awarded in the other categories were Biocurve, AMADIX, the Royal Academy of History, the consortium of Teruel Airport, Ficosterra, Qualityfry and Textil Santanderina. These eight organizations will compete on February 27 in Beijing to win the international prize in the categories in which they participate.